Sorry, we couldn't find any Performance Chrysler Jeep Dodge Ram Delaware listings that matched your search criteria. Christine made this a easy and comfortable transaction. She routinely went above and beyond to ensure her communication was timely, complete, and as accurate as possible. As the dealership was a 2 hour drive from me, most of my research was via email, and Christine's efforts were such that there were no surprises for me when I did make the drive down to see the Jeep in person. At the dealership, everyone I dealt with in the transaction presented themselves as professional and trustworthy; I was comfortable that all negotiations were in good faith. Even after the sale was complete, Christine continued to take great care of me on a couple other little things to make my Jeep just that much better. It is a joy to learn Christine took great care of your shopping experience for your Jeep. Congratulations! We appreciate you taking the time to leave your feedback and if there is anything else we can do for you, please let us know. We are always happy to be of assistance and we look forward to any future visits. Thank you! Left a few things unresolved ( trunk release and trunk light out and some minor body damage), but overall the amount of paperwork and the wait/processing times were not bad at all. Thank you for bringing this to my attention. I would like the chance to speak with you to learn about your service experience. Can you please email me at bkaasa@shopperformance.com with your preferred contact information? I apprecaite your time. Thank you, Steven, for taking the time to leave us a positive review and rating! We are happy to know that Kristine was so helpful and we appreciate you recommending her. We hope that you will contact us again soon! Chris, thank you for the positive review and rating! We are glad to know that our staff responded quickly and we hope that you will visit us again in the future. Have a good day! She responded right away and set up a day and time to test drive. Jasmine, thank you for the positive feedback! We are happy to know that your experience with us went well and that the communication was great! We hope that you will visit us again in the near future! Excellent response and helpful. Even though we purchased elsewhere. Thank you for the five-star review! Please reach out if we can be of any further assistance. James, thank you for the superb review! It's great to know that you received prompt service at our dealership. We look forward to seeing you again! Thank you for the positive review! We are glad that we could provide you with prompt service. Thank you for the five-star review! We truly appreciate it. I regret to learn that you felt your time was wasted during your sales experience. Our goal is to provide honest and knowledgeable service to all of our guests and it is concerning to know you felt otherwise. If you would like, please feel free to reach out to me directly so that I may address your concerns and answer any other questions you may have. I look forward to hearing from you. This dealership was high pressure to get me come to the dealership to talk to them. The car I was looking at was on carguru web site but not the dealer site. The salesperson said the car "got lost in the paper shuffle" but was on the lot, it was listed on carguru over 200 days. With over an hour drive to get to the dealership I wanted to know how much they would lower the price before I made the trip. They wanted me to came talk to them first, before talking price. I am very disappointed to hear that you feel your sales experience did not meet your expectations. I take your feedback very seriously and would like the opportunity to speak with you. Will you contact me at your earliest convenience? I look forward to getting in touch with you. Thank you for taking the time to share with us! We appreciate it! Thank you for the five-star review! We appreciate your kind words and are so happy that you chose us as your dealership! This car turned out to be a work vehicle with a lot of damage. The lot representative emailed me pictures to view because he knew we had a long drive to view it. I appreciate the courtesy to save us a trip. Thank you for your review. We use your feedback to make sure we are providing the best service possible for our customers. If you should have any additional comments/questions/concerns you would like to share with us, please feel free to reach out. Hi Kevin, we're pleased to have earned your recommendation. We were happy to provide five-star service. Please let us know if we can assist you with anything else. I received a fast, thorough and satisfying service. The salesman and staff were great the car was as described it just wasn't what we were looking for. Bought a used car from this dealership on 6/7/2018 and it was an amazing experience. There communication, professionalism, and customer service was top notch. Definitely check them out for your next car. Ask for Sean Webb if you go. That's who we dealt with, and he was awesome. returned email quickly. willing to work with me on my concerns. good experience. Dealer responded with additional photos. Did not buy but dealer was great to deal with about the car. It was fast and easy!! The dealers were really nice and answered any questions I had. By far the best dealership I've been to! Shawn was great! very knowledgeable and I felt he was honest and gave my options to think about. I ended up with this car. from Performance CJDR. I had my mechanic with me and the whole experience could not have been more relaxed or pleasant. We were able to test ride the car by ourselves over a variety of road conditions. There was absolutely no pressure to buy this car but I knew it was the car I wanted. The dealer is practically in my backyard, which helped in the decision process. Follow up with the dealer was professional and friendly. They responded quickly to my email. The car buying process was easy. Although I made an appopintment, the sales rep was working with someone else when I arrived. The car had been in an accident which was reported on the carfax at the dealer, but was not reported on cargurus site. Very friendly, willing to help. Contacted me right away. Our needs have changed and need to go a different direction but it had nothing to do with the dealer. The salesman was very helpful. The car was nice but not quite what I wanted. this Is a great, friendly and welcoming dealership. they make you feel at home and treat you with the same respect no matter how much you are spending. and if your looking at used cars, ask for Sean. he is a really great guy to work with. Thanks guys. Sold the vehicle out from under me. Knowing I was driving 50+ miles to check it out. A call would of eased the situation but ya let me drive all the way there. But hey. We all need to eat right? Goal for receiving info, achieved. Awful. Carfax and vital decision-making information withheld until the very last moment and the check was written. Walked out discusted by unethical treatment. This is how dealers get such low ratings. Chip we apologize that the Carfax was not shown to you until the end. Unfortunately, one of our Newer Team members was helping you and forgot to show you earlier in the sales process. I believe that we offered similar deals on the two other vehicles to try and work together. Again, we are sorry for the mistake, and we hope that we can get an opportunity in the future. Steve Wilson responded and answered my questions via email. As far as my interaction went, it was strong...they helped as much as they could. They were very kind and not pushy like other dealers. Will deal with them and recommend them to family and friends. I have had a really great experience with this dealership. They have gone above and beyond to help me, and I love my new Jeep. This dealership went out of there way to help me with my purchase. They kept in touch with me and my wife. The salesman mr.Wilson was very experienced in cars and I appreciate the help with the purchase. I would like to say that if you are needing a great ride with a decent price this is the dealership to visit. I am very pleased with the purchase and the price of my vehicle. I give them 2 thumbs up. Worst experience ever. Went in and looked at a 2014 ram truck. Steve, the internet manager failed to have the vehicle detailed before I arrived, and it had tar all over the entire side of the truck. I had cash in hand ready to buy. Steve said he would call me back once it was clean, but never did. After at least 5 calls and 3 voicemails later I called back to check the status, and Steve stated that he couldnt find the truck on the lot, then asked around and someone from out of town put a deposit on the truck and that it was no longer available. I was prepared to pay the asking price of $23,500 in cash keep in mind. Performance acted as if they werent interested in earning my business so I went to Another dealer and paid cash for the same truck with lower miles. Don't waste your time at least with Steve. My internet inquiry was promptly answered and I was kept informed about the status of the car after that. The salesman went out of his way to explain the features of the car and help me with the necessary paperwork to purchase it. The dealership was pleasant and clean, as was the car. Responded quickly with good info. Good wxperience. Dealer representative called immediately and was very courteous. This dealer was great - immediate contact, great follow-up, and a great car-buying experience. Our salesman, Steve Wilson, was very helpful, without being pushy. We will definitely consider this dealership the next time we're in the market for a car. Bad operation. Incompetent sales staff. If you want info on a vehicle, you will have to go inspect the car yourself. Very good still thinking on car. It started out good, but I have yet to hear from someone about if they can help me with purchasing a vheicle. The truck does not look like the photos that are shown. The cow catcher and crome window cowls were removed. There is also surface rust on both rear quarters that were not mentioned. Cal responded quickly, answered all questions, was very helpful. quick reply but zero room for making a deal. Thankfully I was able to find the car I was looking for quickly. Our salesman stayed in contact with my fiance (since I work a lot) and kept us in the loop with the vehicle I wanted. Our salesman showed me everything I needed to know about my car (unfortunately my car did not come with a booklet) and answered all our questions. This was my first buying my own car experience -- so I can't compare to other dealerships. Very down to earth and fun/laid back feel. Did not email detailed price quote. This dealership (formerly AutoMax Chrysler Jeep Dodge Ram) changed ownership on Jul 31, 2015. 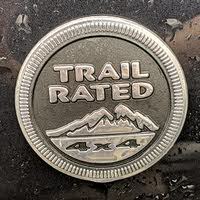 All below reviews pertain to AutoMax Chrysler Jeep Dodge Ram. When I arrived at the dealership, the salesperson did not honor the trade in deal I had been told on the phone and the price on the car I was interested in was higher than the advertised price. Plus the car I was looking had not been cleaned/serviced and had about 1500 more miles on it. Very disappointing experience. Contacted me the next day.